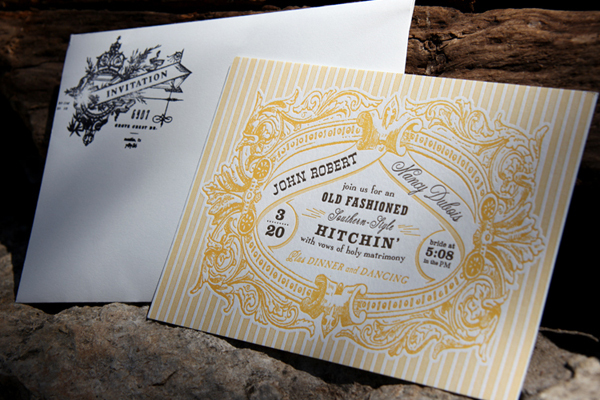 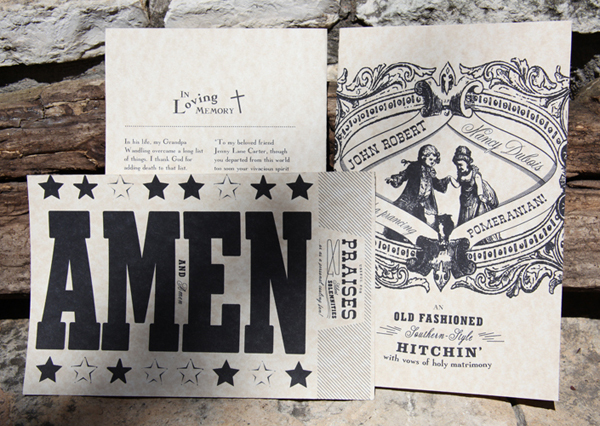 There’s a little bit of awesome in every nook and cranny of these old-fashioned, southern style hitchin’ letterpress wedding invites, designed by Austin, Texas design firm, PTARMAK, for John and Nancy’s big day. 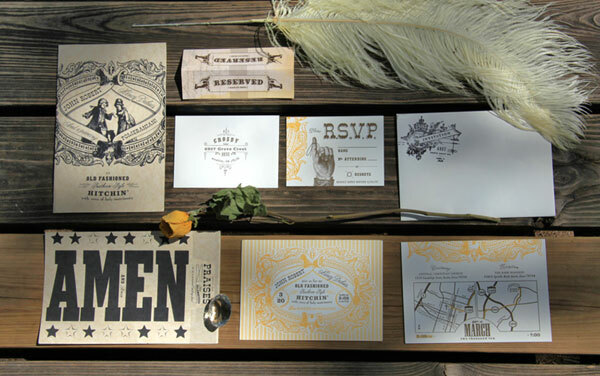 Every piece in the suite is imbued with old-fashioned southern charm, and the typography and ornate illustrative elements are simply stunning. 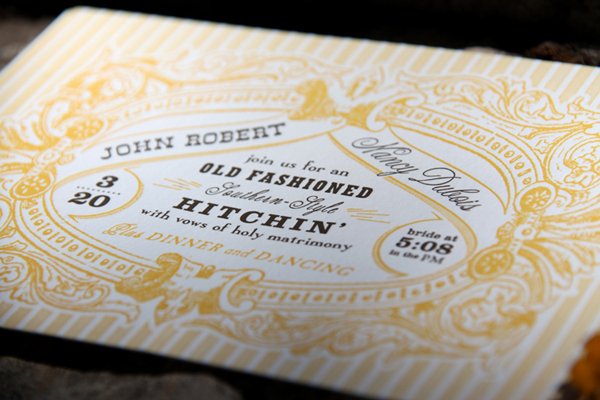 Letterpress printing by Digital Letterpress / Bradley Hutchinson. 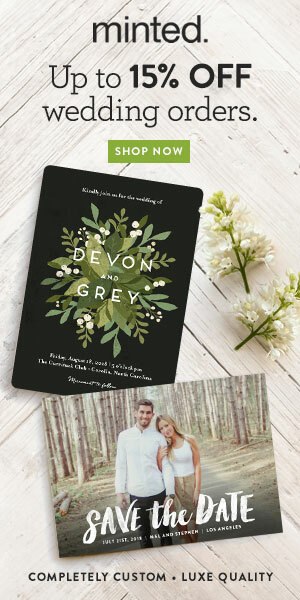 Spotted at Green Wedding Shoes. 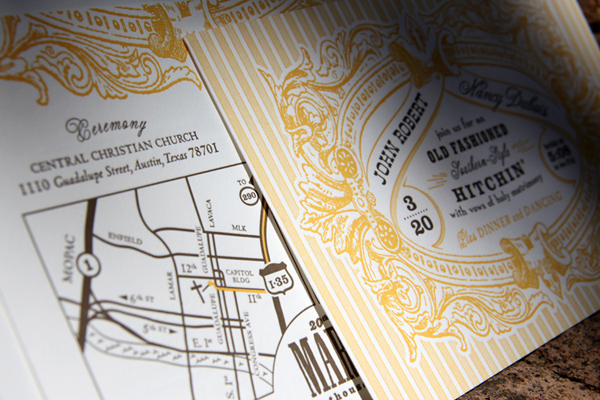 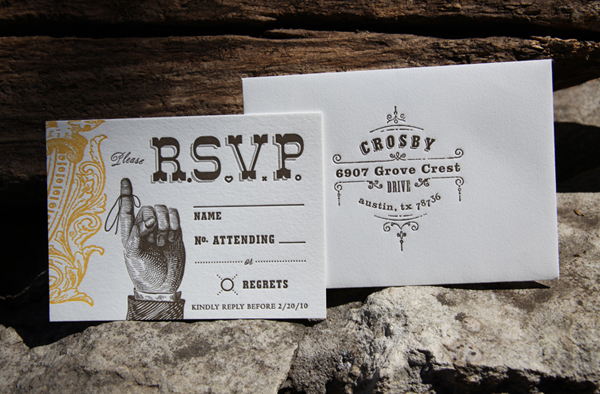 Love the tied finger graphic on the RSVP cards and the letterpressed return envelopes, too!